Virat Kohli is a multi-format cricketing phenomenon. While there was little doubt over his mastery as we entered 2018, the year only served to swell his already imperious reputation – as a batsman and leader. This week, former Australia captain Michael Clarke lauded the India captain as the "greatest ODI batsman to have ever played the game". But he was outstanding in the five-match Test series versus England, too, while his astute captaincy was revered after India won their first Border-Gavaskar trophy Down Under. Virat Kohli scored 2,735 runs across all formats in 2018 – a year when he broke Sachin Tendulkar's record to become the fastest to 10,000 ODI runs. 2,735 runs at an average of 68.37. We are dealing with a living cricketing legend here, one who is constantly pushing boundaries. Below we’ve selected a list of five of the most memorable Virat Kohli international centuries in 2018, which was no simple task – there were 11 to choose from. This spectacular performance propelled Virat Kohli above Steve Smith to the pinnacle of the ICC MRF Test Batting Rankings. 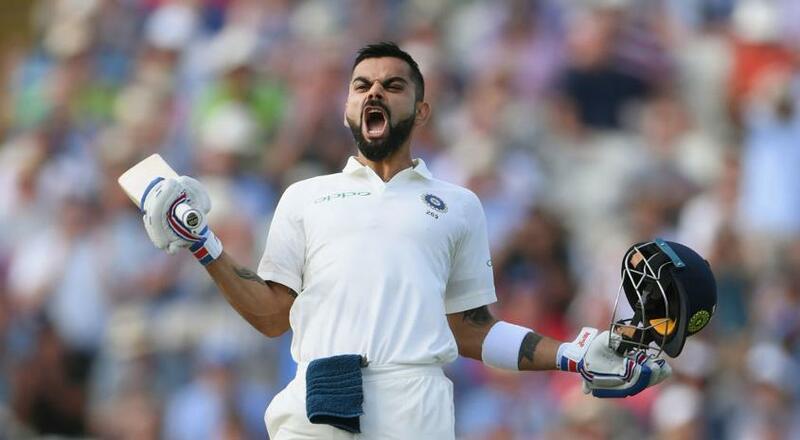 India lost the Edgbaston Test by 31 runs, but Kohli’s first-innings 149 – his 22nd Test century – was sublime. He contributed 200 runs to his team’s match tally of 436 and looked destined to jumpstart India’s series until a lower-order slash from young upstart Sam Curran turned the tide. 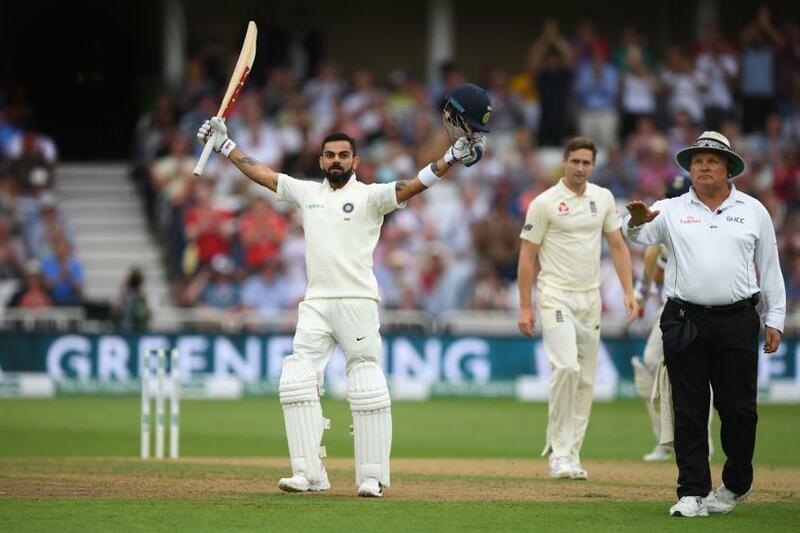 Kohli put his poor 2014 series in England to rest – and the murmurs of a weakness against king-of-swing Jimmy Anderson. He’d previously never made a fifty in England, but the summer of Virat was upon us, and Anderson would spend the rest of it trying in vain to get him out. In some ways a precursor of his Edgbaston epic, this was a knock that deserves to be remembered on its own merits. Like Edgbaston it came in extremely trying conditions, with the ball doing all sorts and against a fearsome varied attack – Rabada, Morkel, Philander, Ngidi, and Maharaj – and like Edgbaston, Kohli was the only thing standing between India and a hefty first-innings deficit. By the time he was done, half of India's runs to his name, the lead was cut to just 28 runs. At Centurion however there was none of the early edginess that marked his Birmingham knock. Having entered at 28/2, with two wickets having fallen in two balls, he struck his fourth and fifth balls pristinely to the fence. From that moment on, yet another Kohli masterclass was the only possible outcome, and all you could do was grab the popcorn and enjoy. This durable knock offered a glimpse of what his recent obsession with fitness can yield when combined with his supreme batting talents – an undefeated 160, with 100 of those coming in ones, twos and threes. It wasn’t his most explosive innings, but it exhibited the perfect blend of skill, stamina and mental stubbornness. 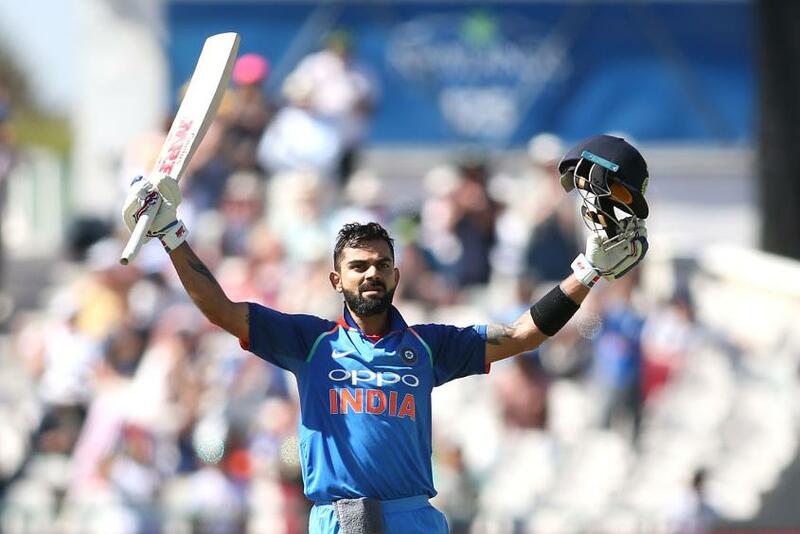 When he held his bat aloft, Kohli had posted his fourth century in six 50-over outings to confirm his standing as the world’s finest ODI batsman. 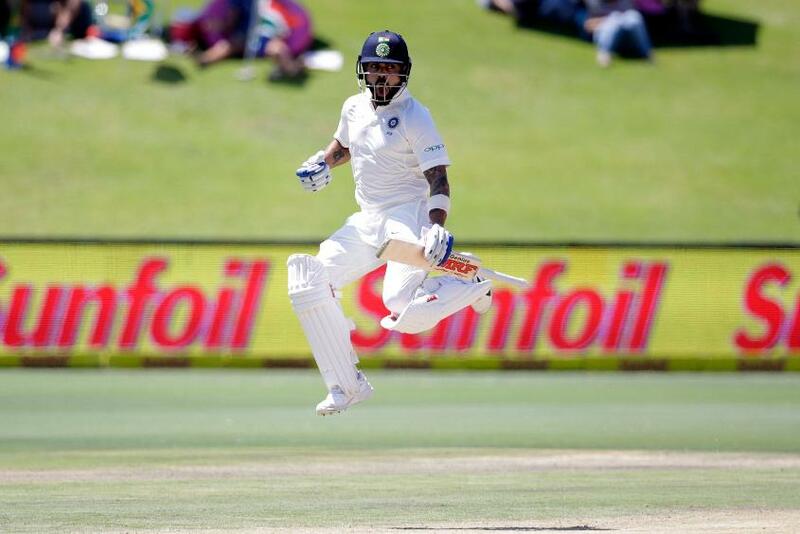 Kohli’s hundred in the Perth Test saw him become the second-fastest batsmen to 25 Test centuries, behind only the great Don Bradman, who required just 68 innings to reach the milestone. It was Kohli's seventh Test hundred against Australia – six of which had come Down Under, with Sachin Tendulkar the only other Indian batsmen to have scored six Test tons in Oz. 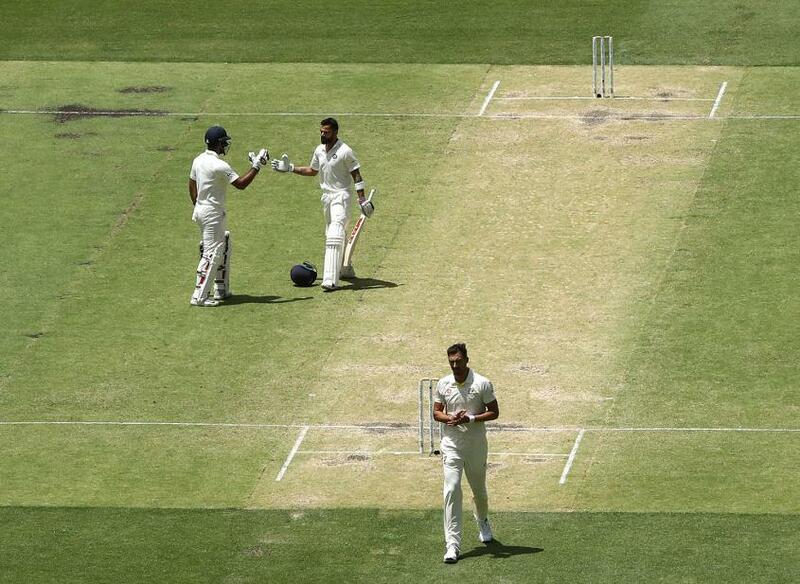 Kohli raised his bat after a classic straight drive off Mitchell Starc, having been at the crease for 310 minutes and faced 214 balls. While he had impressed earlier in the series with his superb stroke-play, his Trent Bridge knock was more about guts and resilience than technical brilliance. Having been dismissed for 97 on day one, the India skipper made amends with a measured second-innings ton, with his 197-ball innings of 103 comprising 10 boundaries. When a Kohli edge escaped through the hands – and legs – of Keaton Jennings in the gully, during the nervous nineties, Anderson sunk to his knees in exasperation. This knock also came with the added satisfaction of bringing about victory, something which his previous 2018 Test tons had failed to do.